Structure is the carrier wave of your story’s message. But this isn’t a question of three act structure. It’s a question of giving away too much in the middle and not holding enough back for the end. Worry about whether your story is taking too long to get off the ground, or if you’re introducing new characters so fast we don’t get to know them well enough. Worry about whether your middle drags, or gets too complicated, or if you are running out of complications and your hero is going to defeat his enemy too quickly and easily. Worry about whether your ending feels rushed, or if you’ve got more than one scene that feels like an ending. Mr. Epstein is criticizing the classic screenwriting rule that all screenplays should be neatly divided into three acts, and to a certain extent he is right. There is some good advice there. But to dive further into the reason why these acts exist, it becomes apparent that these shifts in dramatic context are absolutely essential. When examining a story’s central problem it becomes apparent that there are four separate contexts that can be taken. For instance, if you take a problematic activity like say “Catching a Murderer”, you can see that there will be problems with learning what violent acts were committed, understanding why someone would do that and what his or her plans are, and with running the investigation or doing the legwork required to get this criminal out in the open. Those are three contexts right there - three dramatic movements. The only thing missing now is the final movement, the actual “catching” of the criminal. Those are four major movements, four acts that lead to a story’s conclusion (i.e. problem solved). This is a very simplistic approach to a story, but if stories are indeed about solving problems then with the above understanding it becomes quite obvious that these four movements are essential towards a story’s construction. A story isn’t finished until the problems that created it are evaluated from all angles. An audience will call you on it if you leave out a major portion of your argument. There aren’t three acts anyways, there really are four acts in a complete story, as was covered in this linked item concerning Michael Hague’s Screenplay Structure. What is usually considered the 2nd act is actually two acts that many unconsciously combine into one. There isn’t beginning, middle and end; there is potential, resistance, conflict, and outcome. 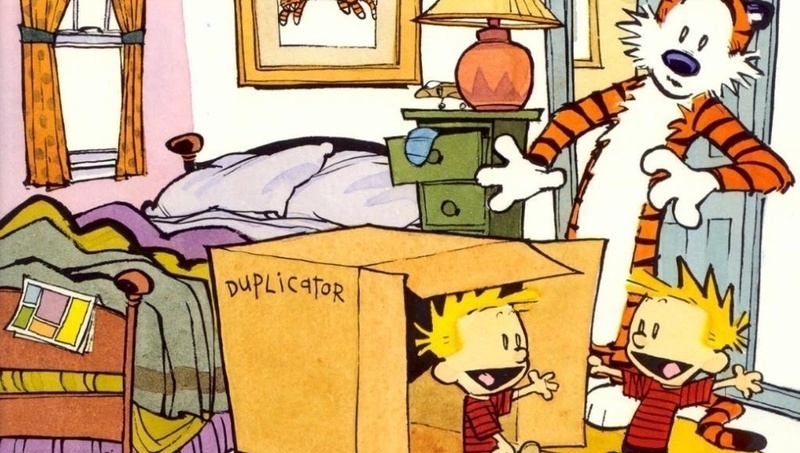 Try reading a Calvin and Hobbes comic by leaving out one of the panels. There is a natural rhythm there that is based on our own human psychology. Structure is not a device to organize your storytelling into 30 page increments. It is a carrier wave for the message you are trying to deliver. You can’t just ignore it because you think you are better than it. It is an essential part of what it is you are trying to say.